Recognizing that child abuse is a phenomena that unfortunately occurs around the world, crossing all class, race and creed boundaries, HFC Ireland was founded in 2013 by initial Board Members from Deloitte, HSBC, KPMG, Maples & Calder, Morgan Stanley and PwC. 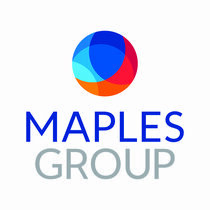 It’s first chairman of its Board Of Directors is Peter Stapleton of Maples & Calder. As a leading hedge fund and alternative investment management centre, Ireland has been extremely successful in building a world class industry and attracting some of the largest managers, service providers and advisory firms to Ireland. While Ireland has a long and proud history of charitable initiatives, it did not have a dedicated philanthropic organisation in the alternative investment sector. HFC Ireland addresses this gap and aims to unite the industry in raising money for extremely worthwhile causes. As in other Branches and Affiliates of HFC, money is raised locally and distributed locally. Funds raised at Irish events are disbursed to groups in and around Dublin that work to prevent and treat child abuse. As our fundraising increases, grants will be distributed more broadly in Ireland, beyond Dublin. As in all HFC sites, our Academic Consultant from Trinity College Dublin helps to ensure that the funds are well spent and that the children and families in such desperate need of help will be assisted. Since inception, HFC Ireland distributed over 208,000 Euros in 20 grants. HFC Ireland’s launch event took place on 29 May 2014 and was a sold out success!